Is a historic moment for the automotive world: the Nissan LEAF 100% electric car is sacred of the Year 2011 in Europe! First zero emission car commercialized in large serie a global scale, the Nissan LEAF has 40 competitors vehicles dominate and win the most prestigious auto awards. This is the first time in 47 years of competition that the title of Car of the Year is awarded in Europe has an electric car. Rival 2011 Nissan LEAF had particular brands Alfa Romeo, Citroen, Dacia, Ford, Opel and Volvo. The jury was composed of 57 renowned automotive journalists, from 23 European countries. "The jury acknowledged today that the Nissan LEAF is a breakthrough in the world of electric cars. The Nissan LEAF is the first electric vehicle able to match in many ways a conventional car, "said Hakan Matson says, President of the Jury of the Car of the Year. "This award recognizes the very innovative Nissan LEAF zero emission is also competitive than conventional cars in terms of safety, performance, space and behavior," says a Carlos Ghosn, CEO of Nissan Motor Co. Ltd.. Before He continued: "It also reflects the status of Nissan became Pioneered and exciting brand with a true vision of what will be the personal transport of the future, what we call sustainable mobility. 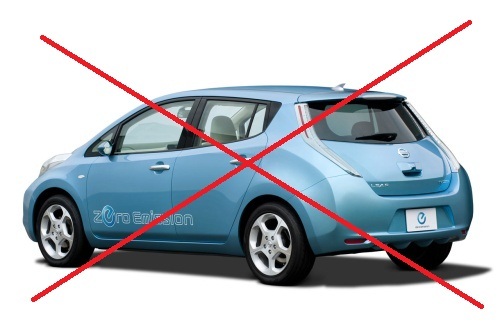 As is already looming three other electric vehicles Nissan brand and four others from our partner in the Alliance, Renault, we can say that the Nissan LEAF represents a major first step in the conquest of a zero future issuance. " Nissan LEAF is powered by an electric motor located in the front, near the wheels. The AC motor displays the maximum power of 109 hp (80 kW) and 280 Nm of torque and allows the LEAF to achieve a maximum speed of 140 km / h. It is powered by a lithium-ion battery Nissan lamellar exceeding 90 kW. At full load, the LEAF has a range of 175 km (depending on the method of calculation New European Driving Cycle), which makes it widely used by many urban drivers. Including LEAF, very well equipped including a system of braking energy recovery, automatic air conditioning and anticipated car, a satellite navigation system, a rearview camera and a computer and telematics system that provides loads all information necessary and specific for this electric vehicle. Applications of innovative connectivity allow the user to adjust itself to different functions of load to know at any time the state of battery charging and residual capacity of that same heat or cool the interior remotely via a mobile phone or a computer. In Europe, Nissan LEAF will be available in five colors: metallic blue, pearl white, pearl gray, black ebony and red sport. 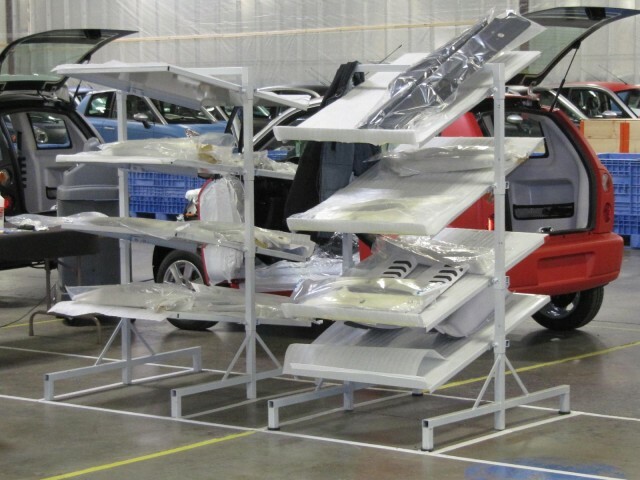 Featuring a complete series of equipment, the only proposed option is the installation of a solar panel on the rear spoiler to charge the 12 volt battery for powering a car accessories. Japan and the United States, the LEAF deliveries begin in December. In Europe, they will begin early in 2011 in Portugal, Republic of Ireland, the United Kingdom and the Netherlands. She arrives in France a few months later the summer 2011. LEAF zero emission is currently produced in Japan but will also in North America and Europe when England will be inaugurated new assembly line in late 2012 and early 2013. Talent Nissan innovation exceeds zero emission mobility. PURE DRIVE under the label, Nissan manufactures a wide range of models equipped very clean combustion engines and economes thanks to friendly technologies the most sophisticated environment. In Europe, the brand is preparing to launch a thermo-electric hybrid luxury sedan wearing the Infiniti badge. In addition, Nissan Crossover as very popular Nissan Juke and Nissan Qashqai have inaugurates new exciting vehicle segments, now dominated by Nissan. It is also next year happen Nissan Micra fourth generation, this time powered by a compressed version of the very recent three-cylinder 1.2-liter gasoline direct injection, a fitted version of a system to stop engine idling, the passion that will be accompanied by 95 g / km of CO2 emitted. Nissan had already won the award for Car of the Year in Europe. Let us remember, it was in 1993, the Nissan Micra, built in England, became the first Japanese car brand has won this award. This was the beginning of a beautiful love story between the small car and Europe, a journey that continues with the launch of the latest version of the Nissan Micra.